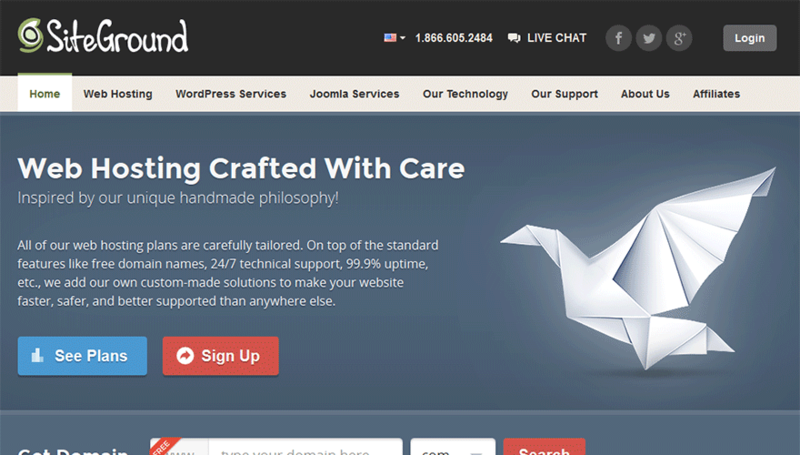 SiteGround is bucking the trend of most hosts who provide “unlimited everything” web hosting. With these guys, you need to pick between 10GB – 30GB of space which is more than enough for most people and most websites. So how do you choose the host that is right for you? Here’s some basic questions that will help you. How many websites will you need to host? If more than 1, then choose GrowBig. Will you need an eCommerce site with SSL and PCI Complaince? If yes, then choose GoGeek. If no, then GrowBig is for you. No Nonsense Pricing – A Nice Relief! The prices seen above are the price you will pay no matter how long you choose to prepay. Whether you choose 1 year or 3 years, you will pay the rate shown on this page. The only time this changes is if you want to do monthly billing. For those accounts, there is a $14.95-$24.95 setup fee required (depends on package). Cloud Hosting: SiteGround offers 4 cloud hosting packages ranging in price from $68.95 to $138.95. These plans include a worldwide content delivery network for speedy delivery of your website content. Also includes are a free SSL certificate, 2 free dedicated IPs, remote daily backups and a free domain name. Dedicated Hosting: They currently have 3 dedicated server configurations ranging in price from $229/mo to $429/mo. Reseller Hosting: Need to be a reliable web host? SiteGround pricing structure is confusing at first, but the gist of it is you buy 1 credit for 1 year of hosting. A minimum of 5 credits is required to start. 5 credits is $45/credit for a total of $225/year. For you math geniuses out there, your base cost per customer is $3.75 per month. This host provides a full 30-day money back guarantee which states if you are not happy with the service within 30 days, you can request a full refund minus any domain registration fees. They are rated a B+ by the BBB but is not BBB accredited. The company has had 18 complaints in the last 3 years with 3 closed in the last 12 months. Based on reviews though, they are quite popular. “I have been with many different web hosts over the years and I’m voluntarily writing this review because I am really happy with SiteGround. If you have a WordPress or similar site, and are looking for the most features for the lowest price, they are your solution. 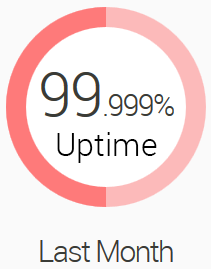 I’m always a little leery when I read about how great a host’s tech support is when the customer indicates how quickly the host responded to an outage. Really there shouldn’t be an outage in the first place. Second should there be an outage, the customer shouldn’t even need to be involved. I don’t want to have to contact tech support if that were to happen. It should just simply be fixed. This video, by SiteGround, explains their customer support process including how they help customers with non-hosting related problems. This one is short, to the point and awesome. Worth checking out. Telephone Support: Toll-free telephone support with 24/7 access. They state real-time instant help. Tutorials: A full section of tutorials written by SiteGround staff. Webinars: Hands-on knowledge on the hottest topics in the web hosting industry. Social Media: Facebook, Twitter and Google+. We have our site hosted at Siteground since a couple of years. During development when our support cases were not really urgent, things were fine. Our site is now live and their support has made us really disappointed recently. Siteground support always responds very quickly to the initial support request, most of the time within minutes. What then happens is that the support person replies with a question. Even if we answer immediately the support case then stays open for a very long time before support comes back. We are on a dedicated server but have recently started evaluating other hosting solutions.